Begin the year with recorder; learn basic notes and rhythm reading. Students will then transition to traditional band instruments by October where they learn the basics of their particular instrument. Students in the Blue and White band participate in 2 concerts throughout the year. This year students expand their knowledge of their instrument. They also strengthen their rhythm, extending the range and add different meters. They also learn how to march and play in parade formation and march at the Homecoming and St. Patrick's Day Parades. Students in the Snowbird band participate in 4 concerts throughout the year and have the opportunity to participate in Solo & Ensemble as well as Jazz Band. This year students put emphasis on tone control, scales and complex rhythms. They continue to work on the basics of marching and march at the Homecoming and St. Patrick's Day Parades. They also participate in 4 concerts throughout the year and have the opportunity to participate in Solo & Ensemble as well as Jazz Band. 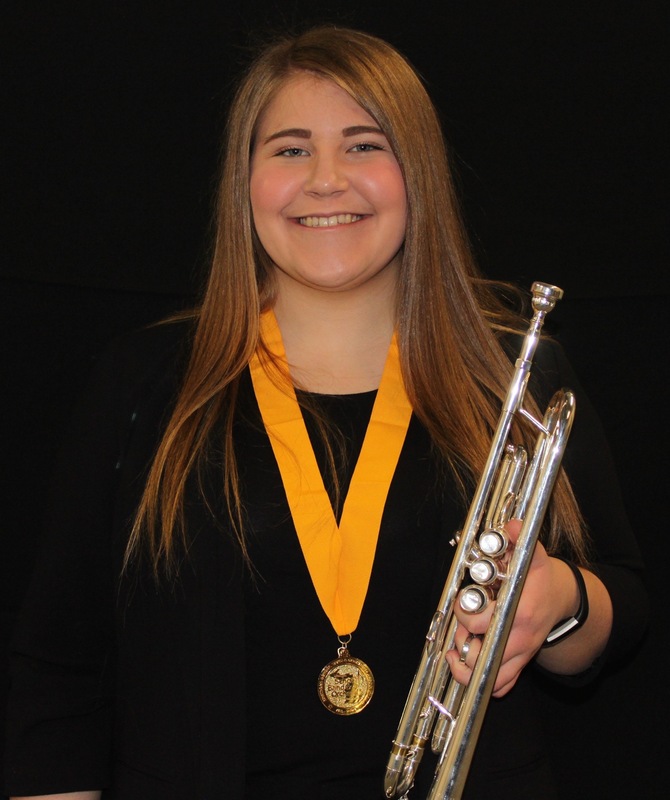 St. Mary Cathedral School instrumentalist Therese Wisniewski was selected by audition for the prestigious MSBOA All- State High School Full Orchestra. She was the second chair trumpet in the ensemble. The orchestra performed on January 26, 2019 at the Michigan Music Conference in Grand Rapids. She was one of the 92 musicians selected from across the State of Michigan. The musicians met in Grand Rapids to rehearse for two days prior to the concert. The guest conductor for the orchestra was Robin Fountain. Previously he studied at Tanglewood with Leonard Bernstein and is now the Music Director of the Southwest Michigan Symphony. Therese Wisniewski is in 10th grade at St. Mary Cathedral School and auditioned for the trumpet section in October. This is Therese's third year performing with an All-State ensemble. She is the daughter of Dr. Steven Wisniewski and Rita LaVictoire.